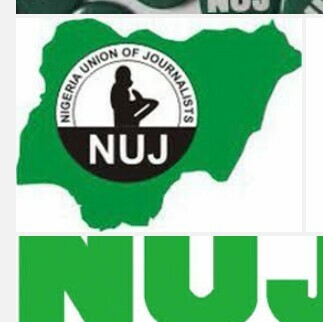 Nigeria Union of Journalists (NUJ) Kaduna Council has on Monday sets up a 5-Man ahoc committee to conduct by-election into Chairmanship position of the council. This was coming due to vacuum created after the impeachment of the former chairman, Garba Muhammad on the 8th September, 2016. Statement signed by the Secretary of the council, Dauda Idris Doka on 19 December, 2016, after a SEC meeting read, “the credential committee to fill the vacant position of the Kaduna Council chairman of Nigeria Union of Journalists (NUJ) has been formed. “The committee, which has Andrew Fadason as the chairman, while John Shiklan, Salisu Ibrahim, Stella Bature and Hassan Abba to serve as members. “Members are expected to complete their assignment of ensuring New Chairman emerges on or before 5thMach, 2016”, the statement stated. The executive of the Kaduna Council of Nigeria Union of Journalists has today evening set up a credential committee following the impeachment of the former chairman, Garba Muhammad on the 8th September, 2016. In a statement signed by the Secretary of the council, Dauda Idris Doka on 19th December, 2016, after a SEC meeting read: “ The credential committee to fill the vacant position of the Kaduna Council chairman of Nigeria Union of Journalists (NUJ) has been formed.